If iOS 6.1 can descargásteis that ye noticed that from the very day that actualizásteis, your device will download very quickly or have problems with 3G networks. Those are some of the problems caused by a bug in the latest version of iOS (fixed in the 3G problem with the iPhone 4 version 6.1.1) that, now confirmed, caused the Microsoft Exchange mail. At last, Apple has identified and will soon be available to users with a new update. Want to know how to fix it in the meantime? 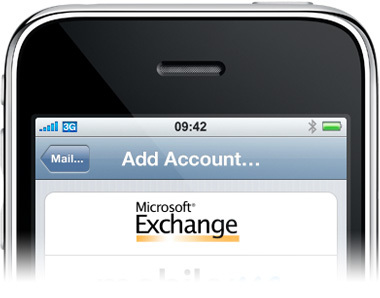 Specifically, the error lies in the timing of Microsoft Exchange email accounts. And these are the steps to follow to fix that Apple has released in a press release . Turn to Settings> Mail, Contacts, heating. Please select the Exchange account from your account list. Volvedla to activate (ON mode). With these simple steps, Apple ensures temporarily eliminate the problem until you publish the new version to fix it permanently. The affected devices have been the iPad and iPhone. We have already tested and, for now, we have not experienced more problems.